Women who travel alone sometimes consider finding travel buddies to join for all or part of their trip. Travel buddies are fellow travellers who happen to be going to the same places, but they are not necessarily formal companions or friends. Placing and answering ads for travel buddies are common means of finding others to travel with and backpackers tend to be very open to travelling with others. Travelling with travel buddies is much different from travelling alone, so sharing a few travel tips with travel buddies may be a good idea. If you are considering travelling with travel buddies, placing your own ad allows you to retain a degree of control over the process. Write an ad that states where you’re going, when you’re going and what you are looking for in a travel buddy. If you are only looking for other women to travel with, other single women, other lesbians or other single mothers, make this clear in your ad. Include a generic email address for others to get in touch and always meet potential candidates in public places. Placing ads in local papers, on specific websites (such as backpacker forums) and on community notice-boards are all good places to advertise for travel buddies. If you prefer to answer ads for travel buddies use your common sense is sussing out who you might like travel with. Decide if the advertiser’s travel plans fit with your own and draw up a list of questions to ask if you do decide to make contact with that person. Just because you are answering an ad rather than placing an ad does not mean that you have no control over the decision. You may find that there are no ads that suit your plans, so if you search to no avail then you might consider placing your own anyway. Backpacking is a low-cost, highly flexible method of travelling, not to mention that it is an extremely popular way to see much of the world. 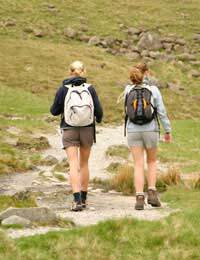 For these reasons, backpackers often seek travel buddies if they would otherwise be travelling alone. If you have never backpacked before but like the idea of travelling with others, go ahead and be honest about the situation. Rarely will a backpacker who wants to travel with someone else turn down a travel buddy just because they have never travelled in this way before. Travel buddies are not instant best friends, so everyone travelling with a new partner should take basic safety precautions. If you find a travel buddy before leaving home, consider asking for references or otherwise doing a little background research on the person. If you meet someone on the road you may not be able to conduct an extensive investigation but you can still ask around with other travellers and tourism staff to see if they know of a reason why that person should not be trusted. When you decide to travel with someone, make sure to always keep your travel documents and money on your person. Never turn over your passport or valuables for safe keeping, and try to keep a charged mobile phone with you. Also carry emergency contact information, including the details for the nearest embassy or consulate, so that you can get in touch with authorities in the event of an emergency. Travel buddies are a great way to avoid travelling alone, but it must be remembered that travel buddies are not close friends. Be careful about placing or answering ads for travel buddies and always make sure that you look after your own valuables and documents when travelling with others. Staying vigilant about your own safety is important when travelling with virtual strangers, which is exactly what new travel buddies really are.